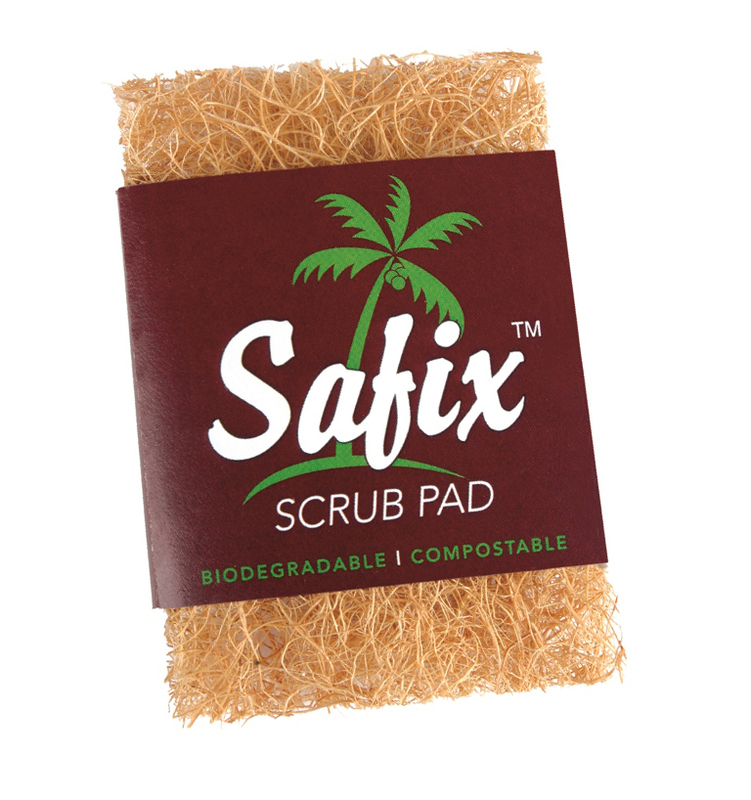 SAFIX™ Scrub pad has the following advantages over the other available scrub pads in the market.Made from 100% COCONUT FIBERS bound together with a non-toxic adhesive.Lasts four times longer than any scrubbers available in the market.Does not rust, splinter or degenerate on several uses.Safe and soft for hands and nails.Easily removes baked on, burnt and stubborn greasy deposits from all types of utensils.Uses less detergent and scouring powder.This scrub pad is surface friendly and will not scratch delicate surfaces.Non-toxic. Odorless. No germs. 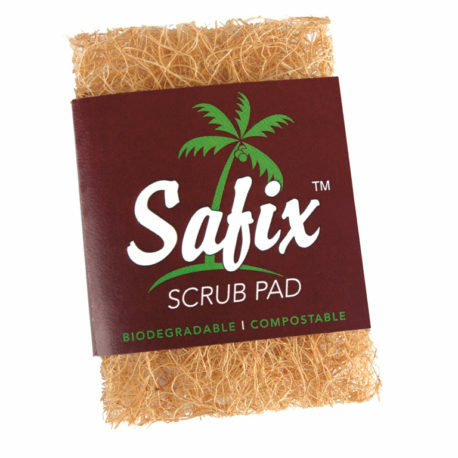 No bacteria.